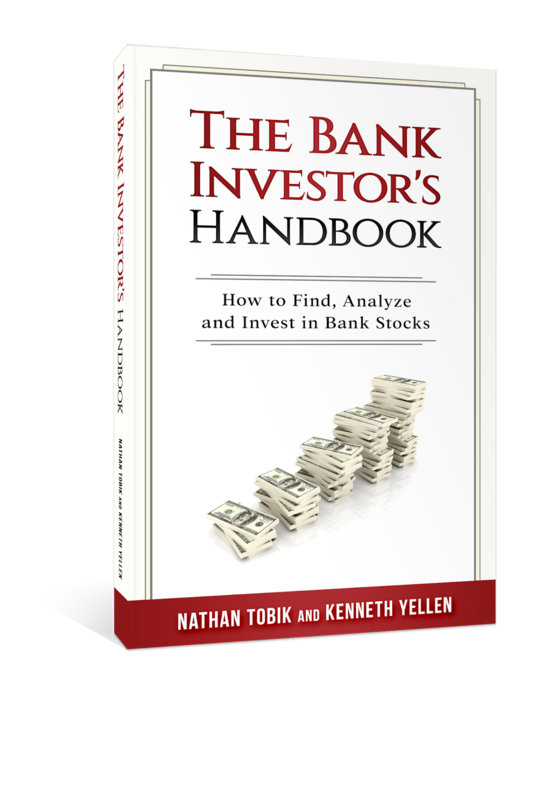 The Bank Investor's Handbook lays out a complete framework on how to approach bank stocks. From finding potential investment candidates, to analyzing banks, valuing banks, and finally building a portfolio of bank stocks. We set out to create the definitive guide to investing in bank stocks. Most books on banking are as exciting as reading a dictionary. This book is different. It presents banks not as opaque entities best left to the experts, but instead as tangible companies that can be understood by anyone with familiarity with financial statements. This isn't a glossary of banking terms, or dense hard to understand charts and tables. But rather a guide that walks you through a bank's financial statements. You'll learn how to spot red flags, and how to identify a high quality bank. You'll also learn different ways of valuing banks, as well as a comprehensive approach to analyzing them. And we hope you'll be entertained too. The book is available now on Amazon.com in paperback and Kindle format. We've included the table of contents below as a brief overview of what you will find in The Bank Investor's Handbook.